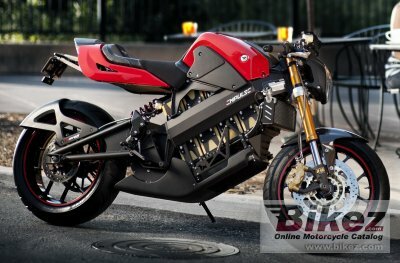 2011 Brammo Empulse 6.0. Picture credits - Brammo. Submit more pictures. The Empulse builds on the strengths of the Enertia and sees the introduction of Brammo�s innovative Digital Drivetrain technology. This breakthrough in performance enables all models of the Empulse to exceed 100mph for sustained periods. Comments: BRAMMO Lithium-Ion Battery. Capacity: 6.0 kWh. Recharge time approximately 6 hours. Range: 60 miles. Ask questions Join the 11 Brammo Empulse 6.0 discussion group or the general Brammo discussion group. Bikez has discussion forums for every moped. View comments, questions and answers at the 2011 Brammo Empulse 6.0 discussion group. You can sign up for e-mail notifications when other riders answer you. If you have extensive experience with the MC, please send us a review. If you consider buying this bike, you should view the list of related motorbikes Look at photos. Compare technical specs. And check out the rating of the moped's engine performance, reliability, repair costs, etc. You can compare the rating with other bikes.